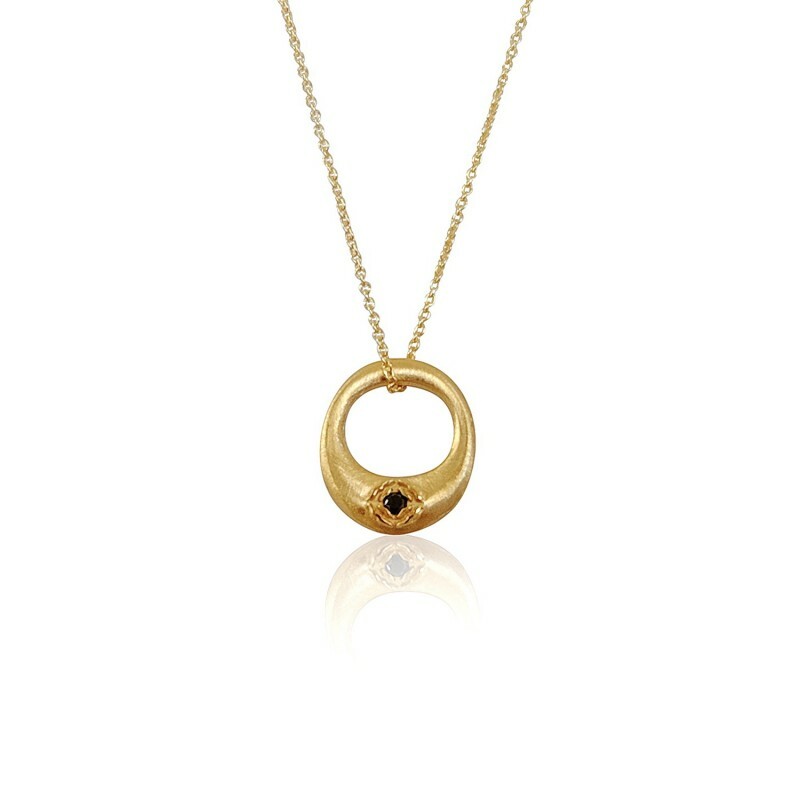 The Ebon Zen Cercle Necklace is a relaxed pendant necklace in 18ct Yellow Gold set with a round cut brilliant black diamond. Part of the Little Luca Collection, these pieces are inspired by exceptional women both past and present, intended to serve as personal talismans – a reminder of one’s truest nature. The collection showcases an exquisite mix of highly ornate floral motifs with pared back designs, the perfect compliment for the modern-day woman. Luca Jouel has been awarded the prestigious ‘Butterfly Mark’, powered by Positive Luxury, in recognition of their commitment to ethical trading, fine craftsmanship and their positive contribution towards protecting the planet’s resources. Luca Jouel also proudly supports the Australian Childhood Foundation where part proceeds of every purchase are donated to help the foundation in their efforts to safeguard vulnerable children against the trauma of abuse and neglect.